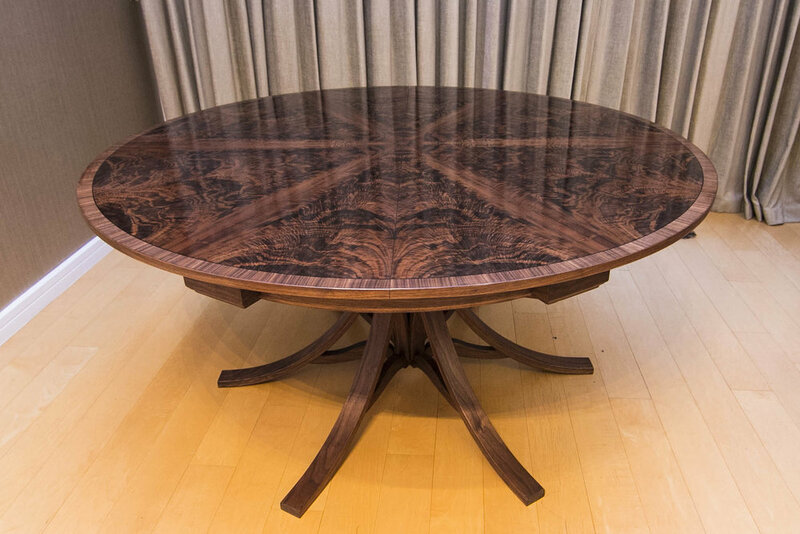 This was the first expanding circular dining table George made, and as such it has a special place in his heart. The design of the mechanism has been refined since this table was made, with the undercarriage now a perfect circle without the protrusions visible on this model, but the overall concept is the same. The top of this table was veneered in walnut curl (also known as walnut crotch), here the veneer is taken from the place where the tree trunk divides in two producing beautiful swirling grain patterns. 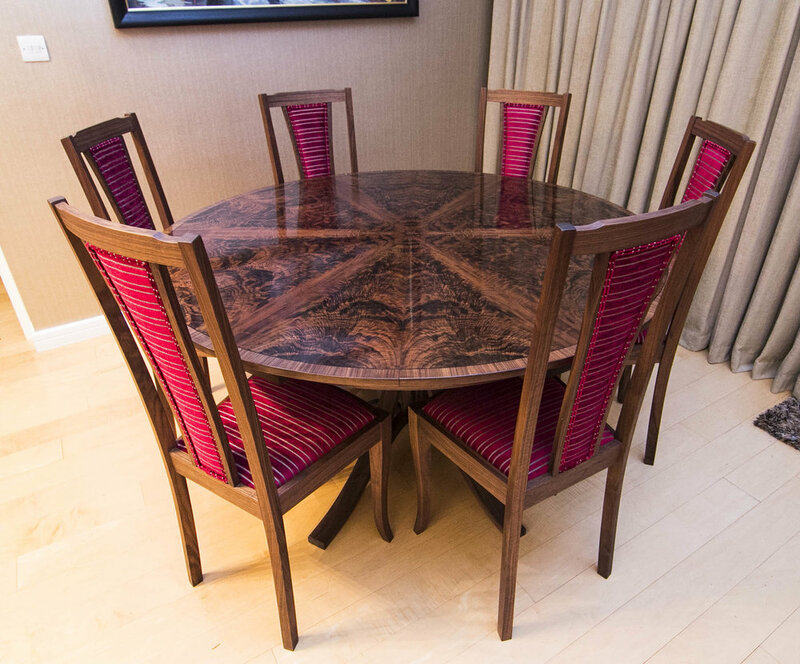 This table was made with a matching set of 10 upholstered walnut chairs, some photographs are below, with more information on the chairs section of the website.